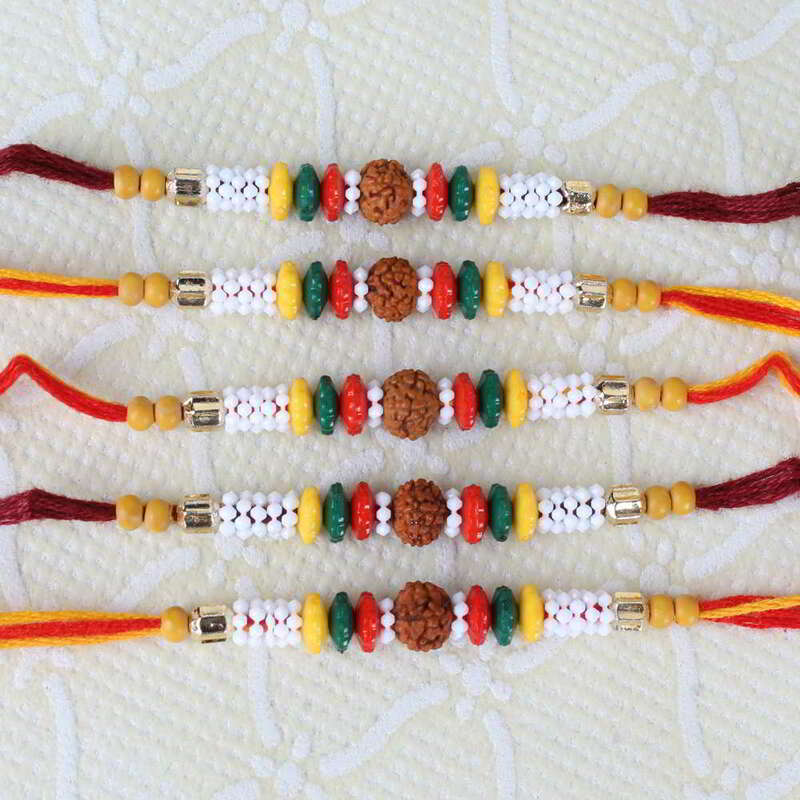 Product Consist: Pack of Five Rudraksha Mauli Rakhi. 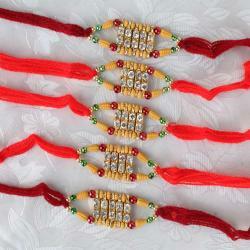 Strengthen your lovely bond with your brother on this festival of Raksha Bandhan. 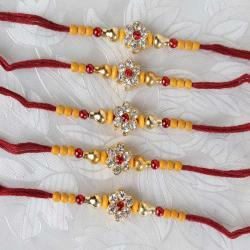 Rakhi is an essence of this occasion, so to fulfill all traditional rituals Giftacrossindia.com has come up with Sets of five rakhi for your brothers. This loving occasion is the best time for brother, to reminisce the wonderful moment which he has spends together with his sweet sister, sharing each others joys and sorrows. 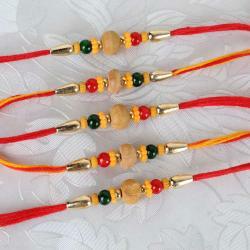 Express your affection and love for your brother in a very decent way on this Raksha Bandhan. 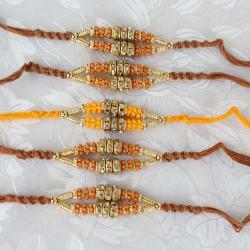 Product Includes: Pack of Five Rudraksha Mauli Rakhi.